National Fatherhood Initiative's Vincent DiCaro was recently featured on CNN for writing "5 Ways to Raise Thankful Children." Vince writes about the first time he heard his young son say "Thank you, daddy" and gives parents five ways to raise thankful children. He says, "I can say with confidence that thankfulness does not come naturally to children, mine included." But Vince continues, "Parenting, like having a good jump shot, is a skill that can be learned through the right techniques and practice." 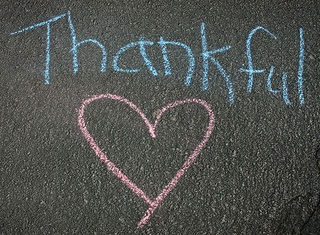 There are things you can do to help cultivate thankfulness in your children. Read "5 Ways to Raise Thankful Children" and take comfort that if you make habits out of these guidelines, you will start to see positive results in your children. And for that, you will most certainly be thankful.